Che & Fidel: Two of Cuba’s Tyrants Down, One To Go. 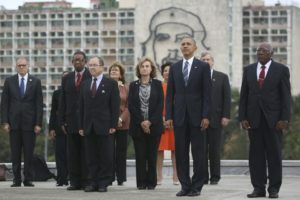 How many people must you execute, imprison and deprive of freedom–all in the name of ‘social justice’– before the President of the United States calls you what you are, a murderous, communist tyrant? If you’re President Obama talking about Fidel Castro not enough, apparently. 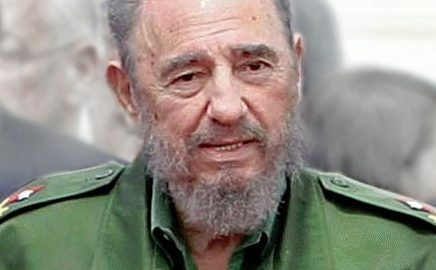 Cuban dictator Fidel Castro died on Friday, leaving one survivor remaining of the murderous troika of sworn communists who took over Cuba “for the people” in 1959. “Here, in the Cuban jungle, alive and thirsting for blood, I write to you these inflamed lines inspired by Martí. Cuban workers must get used to living in a collectivist regime and under no circumstances can go on strike. We must eliminate all newspapers; we cannot make a revolution with free press. Newspapers are instruments of the oligarchy. Well, Viva la Revoluc…aw, nevermind. 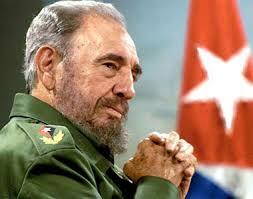 Raul Castro, the 85 year old younger brother of Fidel remains in charge. He undoubtedly will lap up the roughly $900 million fortune his brother left behind, his payday for decades of confiscating the freedoms and means of making a living of all his people, who may make $50/ month, and for the spiffs from the communist regimes of the Soviet Union and Venezuela. Fidel and Raul ordered seek and destroy attacks on people trying to flee the ‘people’s paradise.’ Or prison island. Your choice. He purposely sunk boats, shot down planes, intentionally separated families, put people in prison camps, imprisoned people who went to church, spoke against the communist regime, and then called it good. He stole their liberty, land, future and their stuff and then executed them for complaining about it. Freedom loving peoples surely will put his legacy in its place. Good riddance.